A slow speed pursuit, that began approximately at 10:31 a.m. Oct. 5, came to an end on the Riverside City College’s Mine Okubo Ave. The Riverside Police Department took the female driver of a granite crystal metallic Dodge Dart Limited into custody on charges of failure to yield and evading a police officer, according to Riverside Community College District Sgt. Robert Kleveno. The pursuit started on 14th and Market street before the arrest was made on the campus. “(RCCD Police Department) became aware of the situation as we received word that the pursuit was coming toward the campus,” Kleveno said. Campus police were unable to confirm the results of the field sobriety test done by RPD or if anything was found during a search of the vehicle. 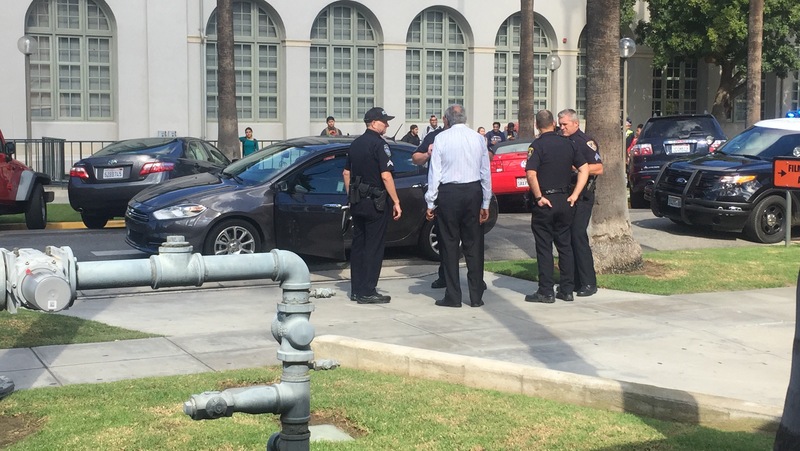 While a Riverside City College parking permit was visible in the vehicle, campus police could not confirm if the culprit was a student of the college. The Dodge Dart was then towed off the campus by Bauman’s Towing company.